As I live in Ann Arbor, Michigan, USA, I give close attention to Ford’s Doomed Presidency. On August 09, 1974, President Ford chose to pardon President Richard M. Nixon who resigned on August 08, 1974. 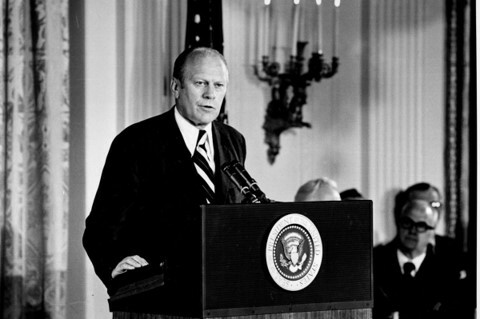 On October 17, 1974, President Ford explained to Congress as to why he had chosen to pardon President Nixon. From his explanation it is evident that Nixon-Kissinger Vietnam Treason remains ‘Forgotten National Tragedy’. 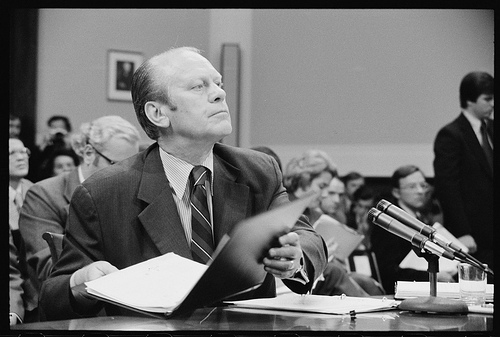 On this day in 1974, President Gerald Ford explains to Congress why he had chosen to pardon his predecessor, Richard Nixon, rather than allow Congress to pursue legal action against the former president. Congress had accused Nixon of obstruction of justice during the investigation of the Watergate scandal, which began in 1972. White House tape recordings revealed that Nixon knew about and possibly authorized the bugging of the Democratic National Committee offices, located in the Watergate Hotel in Washington D.C. Rather than be impeached and removed from office, Nixon chose to resign on August 8, 1974. When he assumed office on August 9, 1974, Ford, referring to the Watergate scandal, announced that America’s “long national nightmare” was over. There were no historical or legal precedents to guide Ford in the matter of Nixon’s pending indictment, but after much thought, he decided to give Nixon a full pardon for all offenses against the United States in order to put the tragic and disruptive scandal behind all concerned. Ford justified this decision by claiming that a long, drawn-out trial would only have further polarized the public. 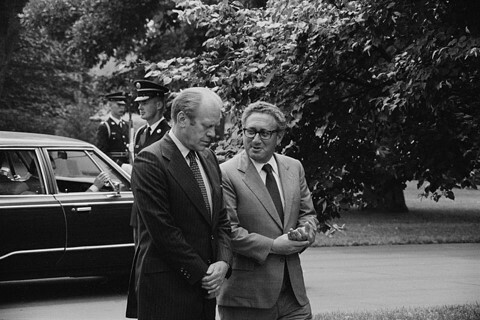 Ford’s decision to pardon Nixon was condemned by many and is thought to have contributed to Ford’s failure to win the presidential election of 1976.